Who Built It? 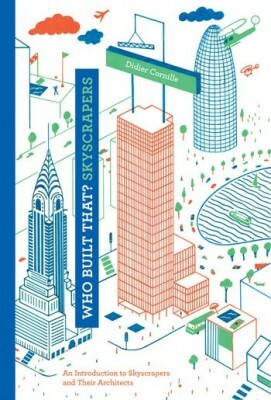 Skyscrapers presents illustrator Didier Cornille's charming drawings of eight of the most important skyscrapers in the world, from the highest to the most symbolic. Introducing famous architects and their works to the reader, Cornille focuses not only on the final buildings but reflects the construction of each in his step-by-step illustrations. Accessible text accompanies the drawings and provides useful background information on each skyscraper, making this a fun primer for anyone interested in architecture. New York, 2014, 24.6cm x 16.8cm, illustrated, 84pp, hardback.